Flooring experts NuFlors (booth 628) and Shannon Specialty Floors (booth 630) will partner to showcase the revolutionary SetaGrip Technology at this year's Environments for Aging (EFA) Expo in Salt Lake City, UT. “We’ve started R&D work for wall panels and other interior improvements products and are excited to see where this technology will continue to develop.” says NuFlors Managing Partner, David J Kim. NuFlors, innovator of patent-pending SetaGrip Technology for flooring, will exhibit at the 2019 Environments for Aging (EFA) Conference in Salt Lake City, UT this April. NuFlors was named the Bronze Product Innovation Award winner in 2018 by EFA for the revolutionary, adhesive-free flooring installation technology. NuFlors (booth 628), together with Shannon Specialty Floors (booth 630), will demonstrate the benefits of SetaGrip and how it's changing the way flooring is being installed in the industry. SetaGrip is a new concept in the installation of floors without adhesives and allows easy removal without residue making installation and repairs quicker than any other product on the market. Its technology uses millions of micro-sized pores, vacuum, and negative air pressure to securely adhere the floor to any flat, non-porous surface. NuFlors' and Shannon's partnership began in January of 2019 in the distribution and selling of the loose-lay flooring concept, SetaGrip. SetaGrip products will be offered by Shannon Specialty Floors and its representatives and independent agents in Alaska, Ariz., Ark., Calif., Colo., Hawaii, Iowa, Kan., Idaho, Ill., Minn., Mo., Mont., Neb., Nev., N.M., N.D., Okla., Ore., S.D., Texas, Utah, Wash., Wis. and Wyo. About NuFlors - NuFlors™ entered the flooring industry by sourcing PVC tiles for a major New England based importer since 1990. 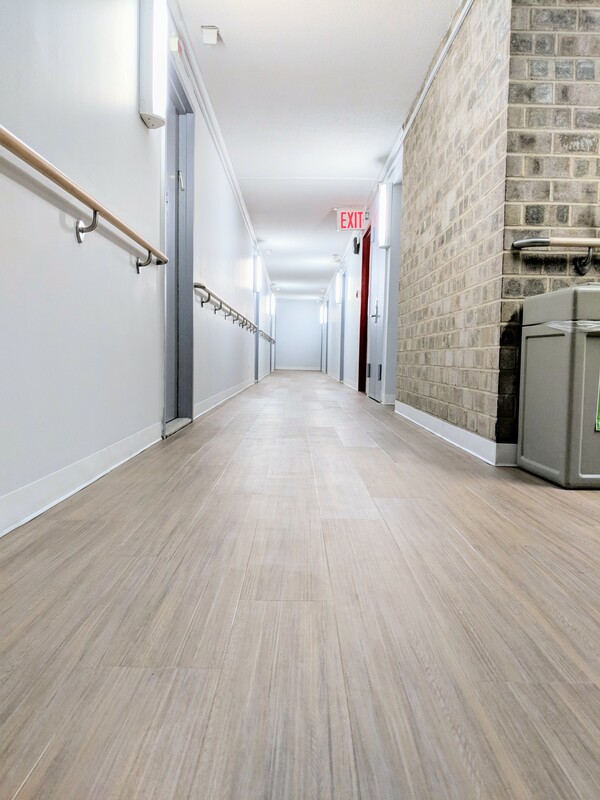 As the industry evolved, NuFlors' focus evolved into developing sophisticated technologies for the advancement of what is now called Luxury Vinyl tiles (LVT) and commercial sheet vinyl (CSV). For over 10 years NuFlors has been focused on supplying private labeled products to some of the major flooring manufacturer brands in the United States. NuFlors' dedication to flooring innovations led them to develop and launch the breakthrough, patent-pending SetaGrip™ Technology flooring system. About Shannon Specialty Floors - Shannon Specialty Floors, Inc. is a major manufacturer and distributor of flooring products with a strong focus on Healthcare, Senior Care, Government, Corporate, Hospitality, Retail and Education environments. Shannon Specialty Floors supplied products provide durability and state-of-the-art technology with a strong emphasis on no-wax, no-buff commercial resilient flooring including heterogeneous and homogeneous sheet vinyl, tiles and planks, and non-vinyl flooring. You can find more information at https://shannonspecialtyfloors.com.